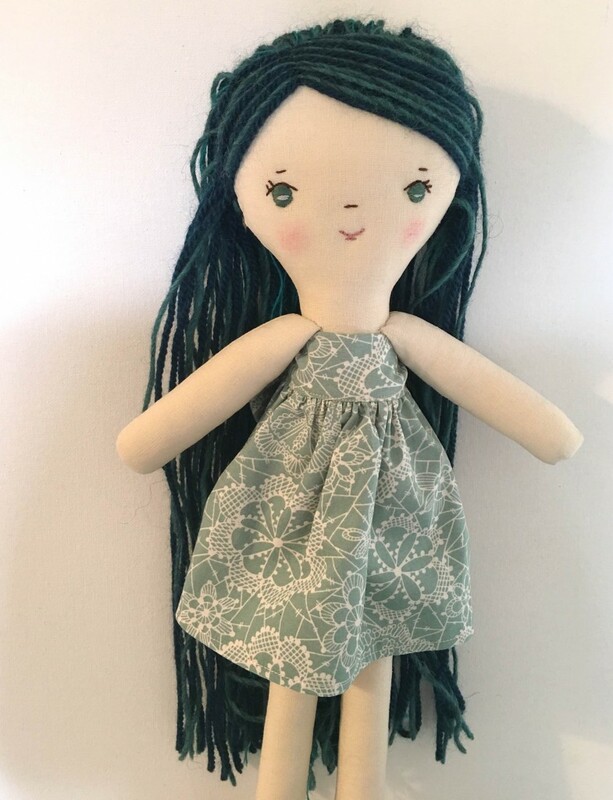 Is your make-along doll underdressed and you’re pressed for time? With the risk of being captain obvious, here’s a quick photo tutorial for how to make a super cute, easy apron dress for your doll. this blog post is from the wonderful weewonderfuls … check out her blog for more tutorials etc!! Take your ready to wear dress and pin the sleeves inside the dress so you can easily see the curve of the arm hole. 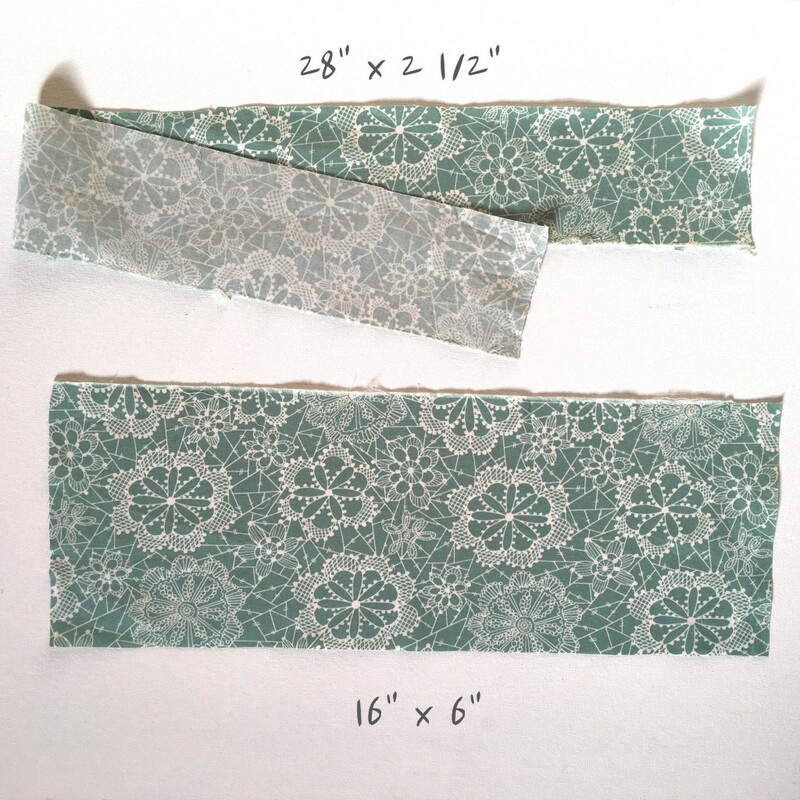 This will make it easier to cut the same shape with your fabric for your new dress. Fold your fabric making sure the stretch goes from left to right. 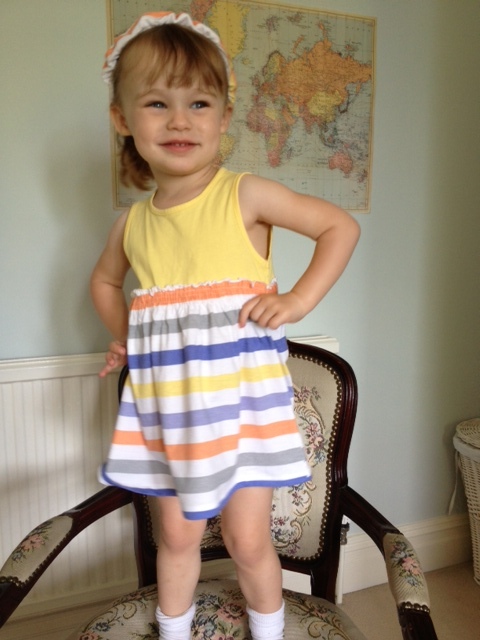 Cut around the ready to wear dress leaving a 3/8″ seam allowance. Do this for the front of the dress as well as the back of the dress. Make sure your head opening is big enough to fit over your child’s head. Lay the dress front and back with right side up. Fold one of the sleeves in half and find the middle. Pin the middle of the sleeve to the shoulder seam with RST. Finish pinning the sleeve to the dress and sew. It is okay to slightly stretch the fabric in order for it to fit. Place your heart template on your fabric making sure you place it where you would like it to be sewn onto your dress. I wanted my heart just barely extending to the back of my dress so I have my side seam to the right side of my heart. 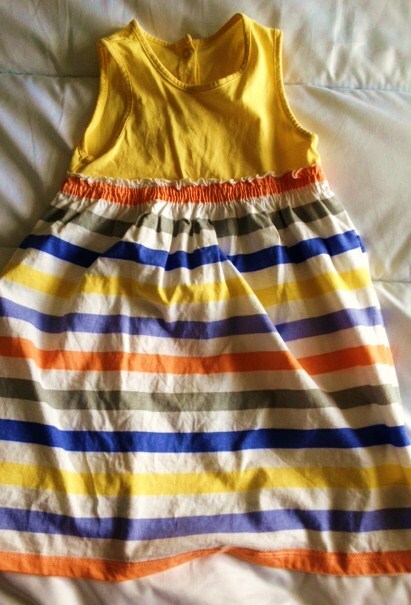 Place your scrap woven fabric on top of the right side of your dress. Pin the heart template to the top layer of your dress only. Make sure you place your heart exactly where your cut out fabric heart will go. I folded the side of my heart template where the seam is on the fabric heart to make sure I lined up the seam of the heart with the seam of the dress perfectly. With a fabric pen trace around the heart template and sew on the line using a straight stitch. You could also leave your heart template pinned to your dress and sew just to the right of the template making sure not to sew the template to the dress. Make sure you are only sewing through one layer of the dress. Cut out the center of your heart making sure you don’t cut the back of your dress. Clip the corners and curves. 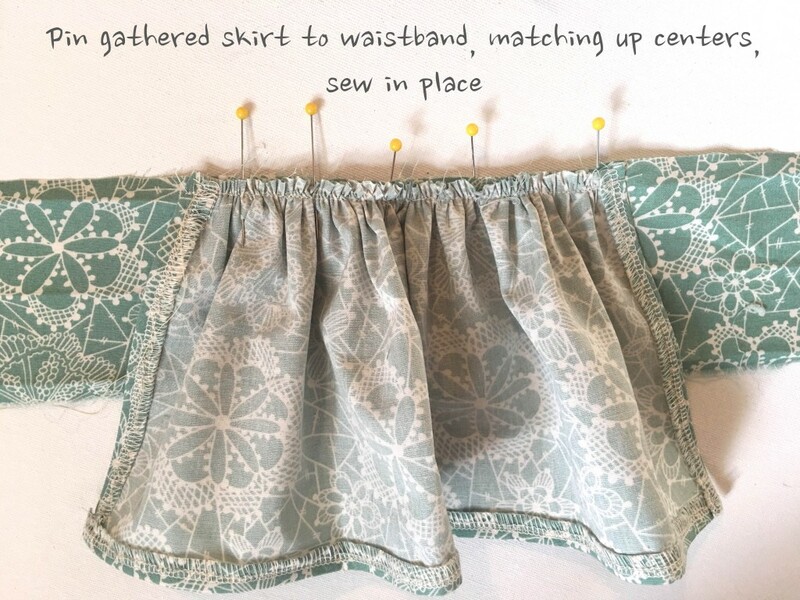 pull the scrap fabric through the center of the heart and pin to the wrong side of the dress. 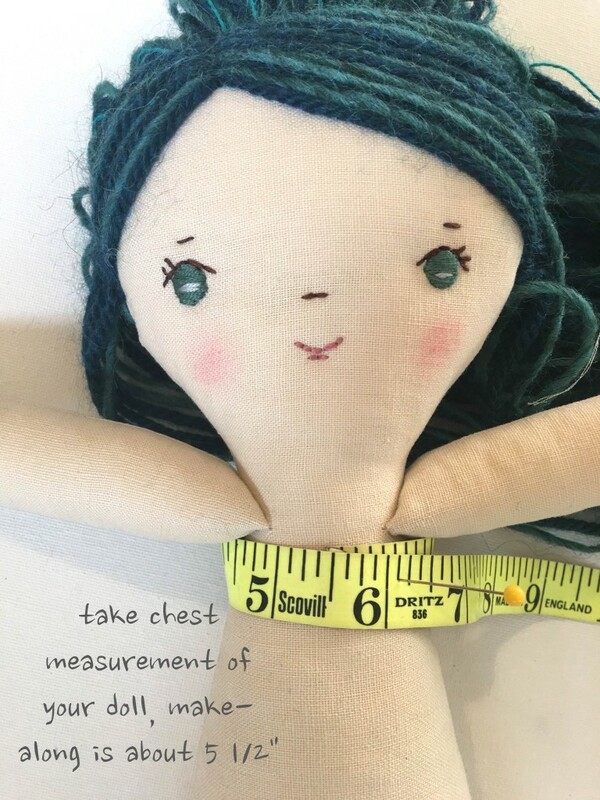 Try your best to not stretch the fabric while pinning to keep the original shape of the heart. 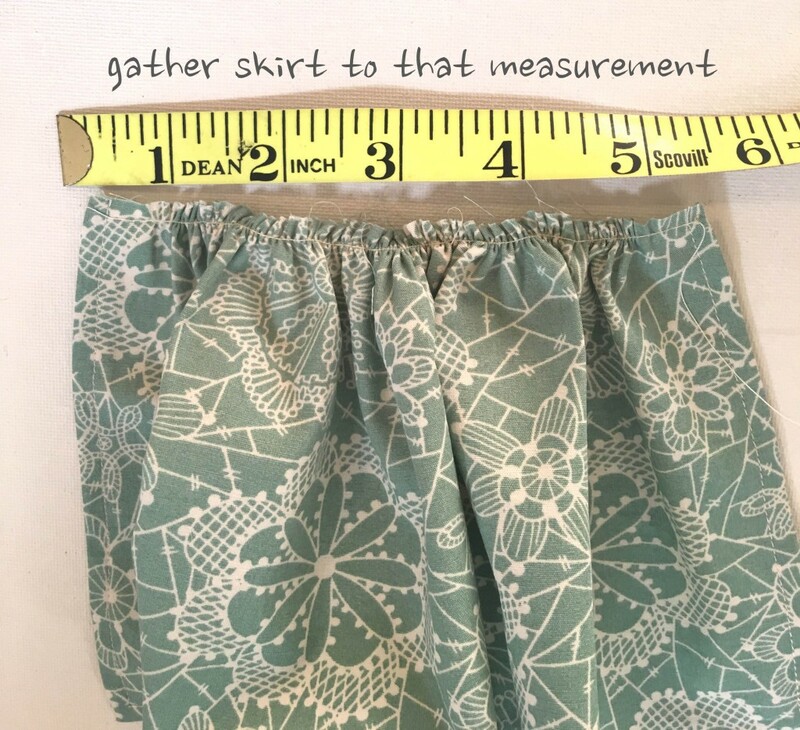 Sew the scrap fabric down using about a 1/4″ seam allowance. 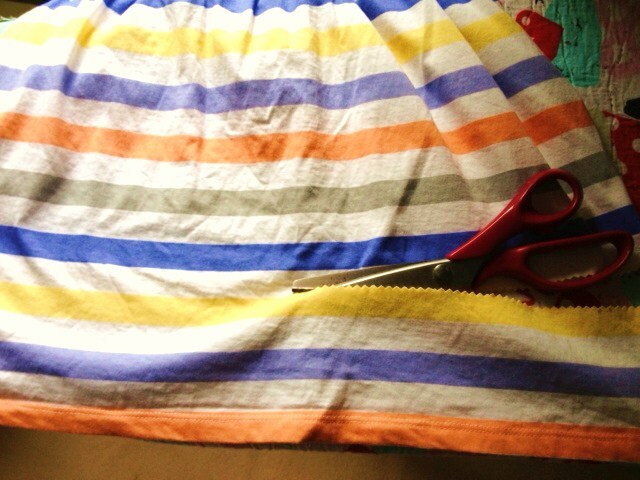 Cut the excess fabric off as close to the stitches as possible without cutting through the dress. 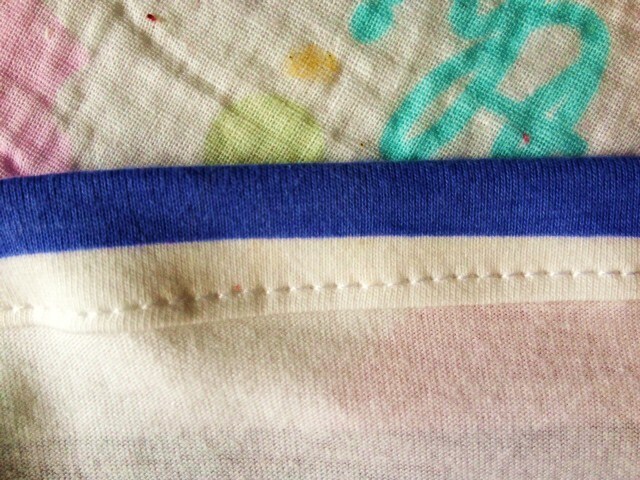 Finish the edges on your heart with your serger or using a zig zap stitch. Place the heart over the heart opening and pin to the dress making sure to pin through only one layer of the dress. Turn the dress right side out and top stitch around the heart making sure not to stretch the heart as you go so it keeps its shape. 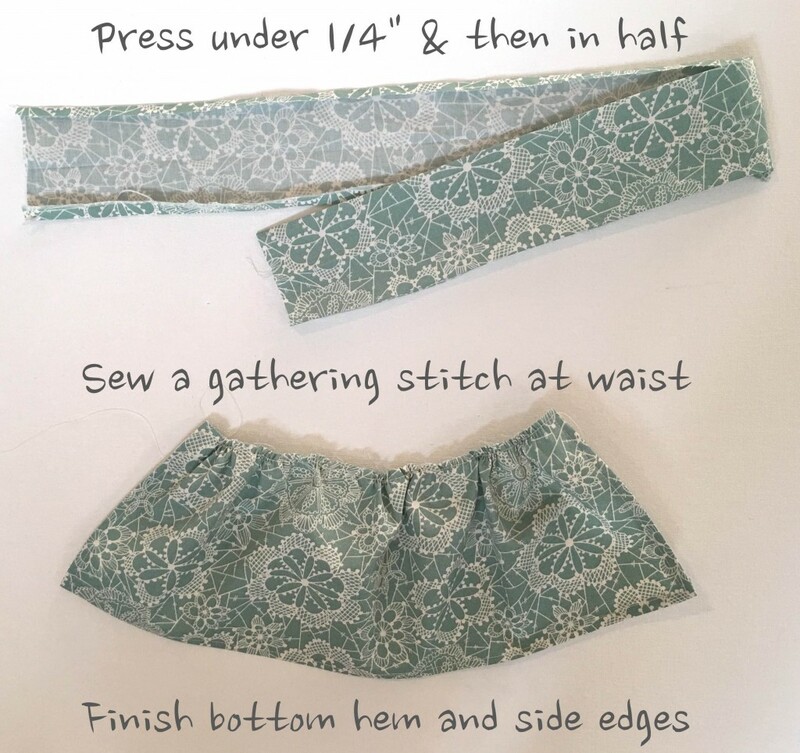 Cut a strip of your fabric the same length as your neckline and 1.5″ to make a neck binding. 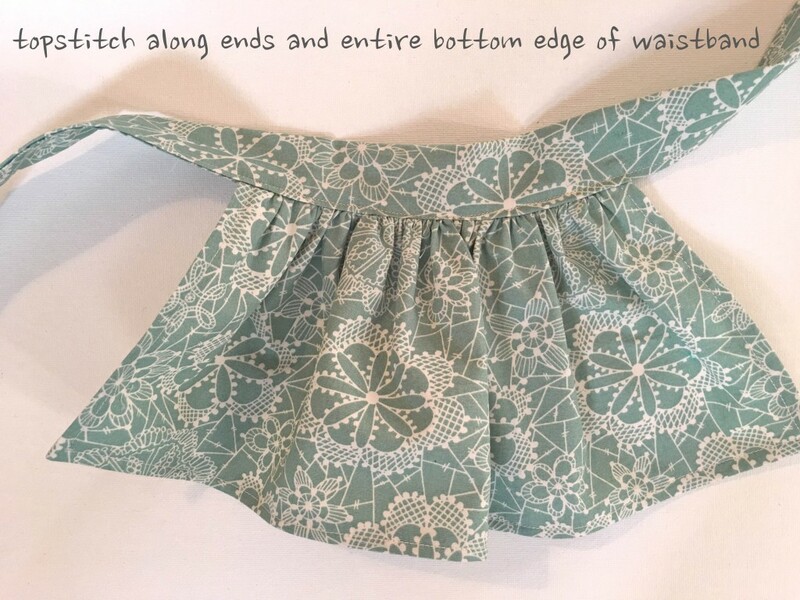 Make sure the stretch of the fabric goes from left to right. 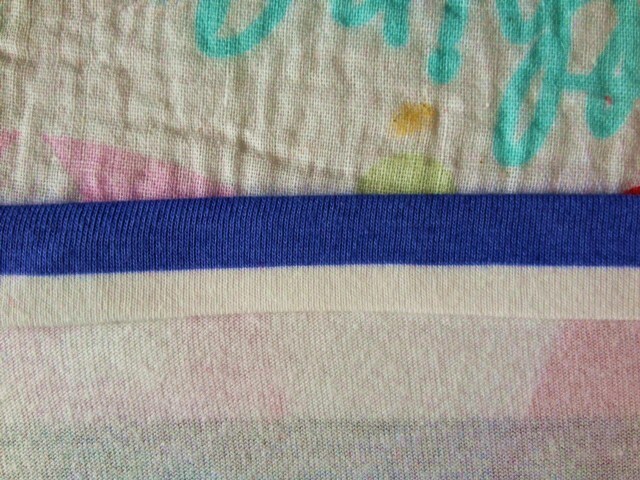 Fold in half RST so the short ends are together and sew. Find the middle of the back neckline and pin the seam from your neck binding you just cut out. Finish pinning all the way across the neckline. Sew using your “lightning bolt” stitch. Fold the neck binding under halfway and then fold under again and pin and sew. Your neckline should now look like this. 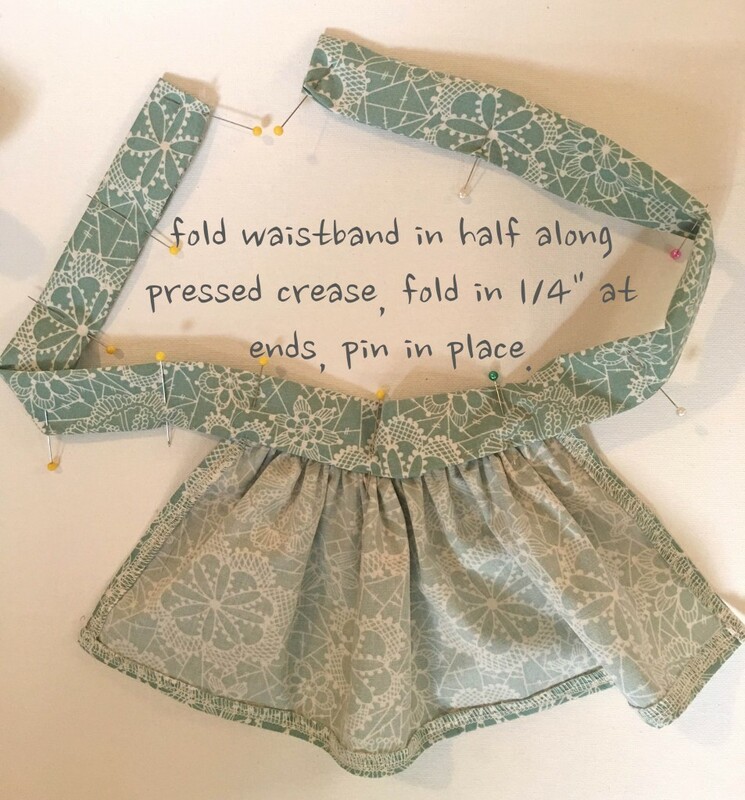 Fold your hem up 1/2″ and then again another 1/2″ and sew. You are FINISHED!! 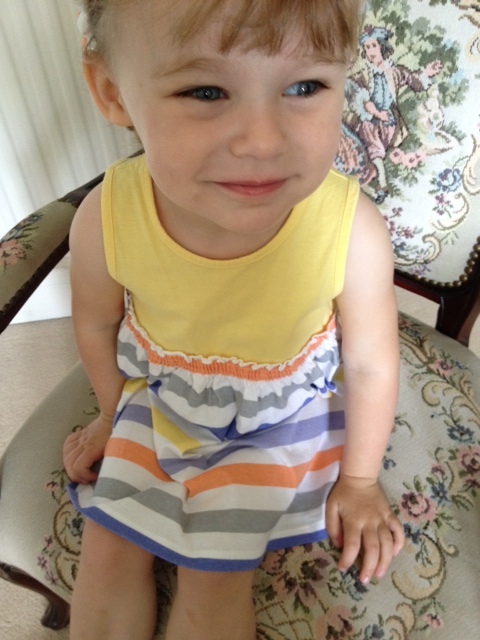 Enjoy your adorable new dress! Wear it just as it is in the warmer months or pair it with some leggings in the cooler months. It also makes the PERFECT Valentine’s Day dress without being too over the top. Step 1: Decide on what length you would like the dress to be and cut the remainder of the fabric off. I use crimping scissors to make sure the fabric doesn’t fray. Step 2:Turn the rim up and press. Make sure it has the same thickness all the way along. Pin the fabric in place once pressed so it doesn’t move whilst sewing!! Step 4: Sew all the way along making sure its straight. Easy peasy!! Your probably didn’t need a tutorial but hey.. i thought i’d do one anyway!! Just found this on the amazing site.. Cool Ideas on Facebook..
OMG AMAZING!! Im so gonna make these. What ive worked out that the little bits of white are elastic, and i think the size of the long layer is double your foot. Make your own jellyfish in a bottle. The other day, while I was thinking to get something to put in the water bottle for Bhoom to shake for fun. I saw a plastic grocery bag next to me and then this idea popped up. I think.. well, give it a try. With some trials and errors, my little jellyfish comes alive just like I thought it would be. : ) When daddy and son first saw it, they’re surprised with their jaws wide open. Then, I asked my hubby to take pictures for this DIY Jellyfish in a bottle. 2. A plastic water bottles. • Cut along both sides (see picture 2) to split into 2 plastic sheets – by the way, we only use just one of them. 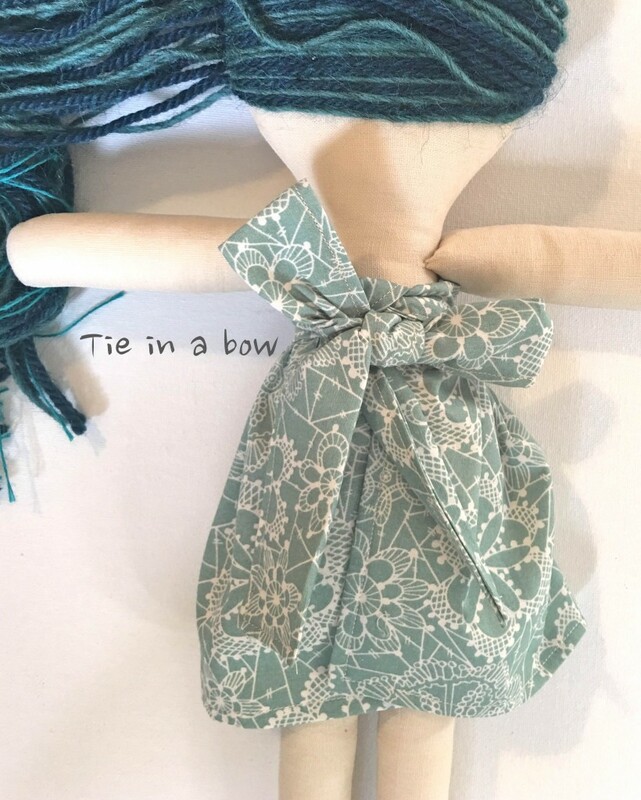 • From the center of the plastic sheet, fold it like a tiny balloon to make the head part and tie it with the thread – not too tight (see picture 3). You must leave a little hole in order to pour some water in the head part (see picture 7-8). • Now you’ll get the head balloon part and the remaining will be its tentacles. Cut from the edge up to the head part roughly. You’ll get for about 8-10 tentacles (see picture 4). 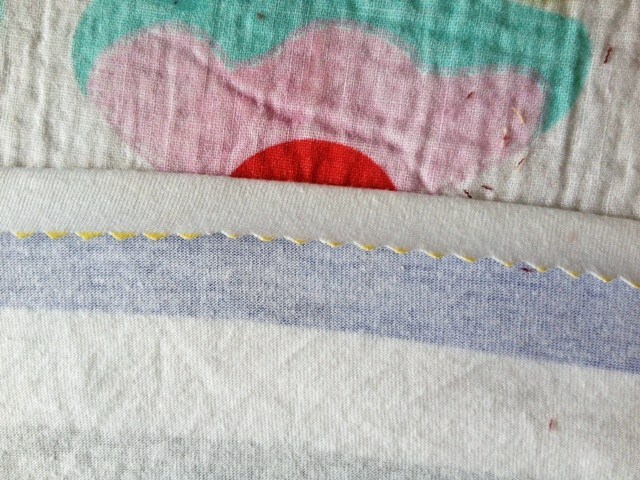 • For each of them, cut again into 3-4 small strings (see picture 5) – and just cut off the remaining part. When finished, you’ll get something like this (the left pile is all the pieces we cut off) • Put some water into the head part to make it be able to sink (see picture 7). You must leave some air inside to make be able to float up (see picture 8). • Fill up your water bottle (see picture 9). 1. Supplies Needed: red velvet, white and black felt, burlap, green cotton fabric, scissors, stuffing, iron. 2. Cut out pieces using the templates. Turn the red velvet inside out and stitch around the edges, leaving an opening at the top where the stem will go. Flip the apple right-side-out (so the velvet is now showing). Stuff the pillow with the stuffing. 3. Stitch around the edges of the leaf (green fabric), leaving a small opening. Flip the leaf right-side out and iron flat. 4. Stitch around the edge of the stem (burlap), leaving the bottom open. Stuff the stem until slightly plump. 5. Insert the stem and leaf into the opening of the apple and hand-stitch the opening closed (sewing through the stem and leaf). 6. Apply the eyes and mouth with fabric glue. You’re all finished! 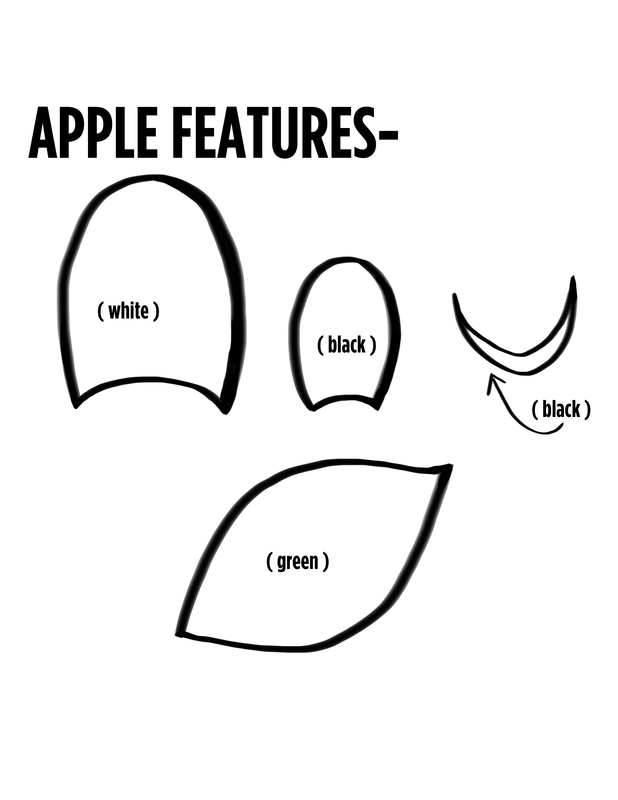 I hope you enjoy making this apple pillow for your home! omgggggg this is sooo cute!! had to share! i really want to make one for my little sister Millie. Handmade gifts are a really important part of our holiday tradition. I like to give things from the heart, and I feel really good about gifting something I’ve labored over. Don’t get me wrong. We do lots of store-bought presents as well, but the gifts I pour time and energy into always make me feel the proudest! When the idea for a handmade kitchenette came about, I was immediately intrigued. I had several questions: Can we make a kitchenette that is functional so a child can actually play with it? Can we make it sturdy enough that I don’t have to worry about it falling on my kids? 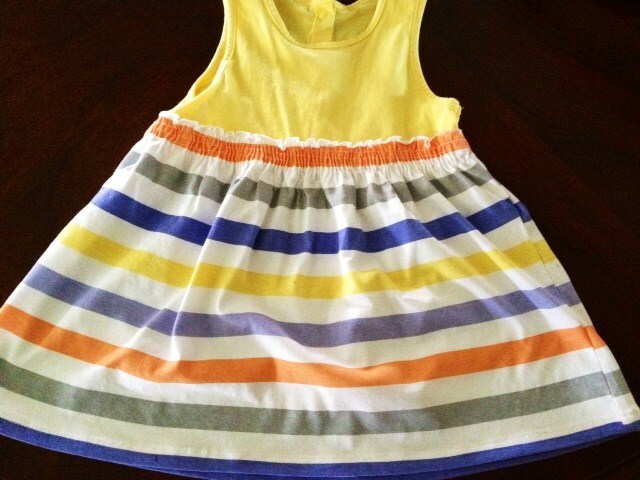 Even if I think it is cute, will it appeal to little ones? After Emma and I did some sketching and planning, this is where she came in and used her superpowers. The hard part was done for us since we had found this little rolling cabinet. It was the perfect size and we felt that with a few minor additions, it could become the kitchenette we were planning for. First we cut a peg board down, so that it was just tall enough to fit two play pans. Emma secured the peg board by creating a frame in the back of the unit with wood planks. She then added a shelf to the top of the pegboard and the side of the unit. This was done by screwing in a small plank of wood we cut to fit the unit. The wooden triangle pieces were then secured with liquid nails. She also removed the handle from the top drawer and added four wooden knobs with more liquid nails to be the oven controls. After we painted she also added two hooks on the other side of the unit for hanging play towels or aprons. After Emma got the structure all put together, it was my job to paint and make it look like a play kitchen. I started with orange and white paints as my base and put a few coats on the whole thing. Once it was all painted and dry, I masked off a portion on the door to be the “oven window”. I painted that with chalkboard paint, and then used some of my extra chalkboard paint on the oven knobs as well. The last step was creating the “burners”. I picked up some 6″ round wooden plaques. I first used my grey paint to cover the bottom side of each plaque. After the paint was dry, I used a compass to draw circles onto contact paper. I affixed the contact paper to the plaque and painted white between the contact circles. Once the white paint dried, I pulled the contact circles off and touched up the lines with a paint brush. I used gorilla glue to glue the “burners” down and put 3 coats of clear varnish over the entire “stove top”. One of my very favorite parts of this kitchenette is that the door and the drawer from the original cart are still functional. The “oven door” opens up so they can “bake” their food, and the drawer is great storage. One of my biggest concerns was that the kitchen would be sturdy enough for real kiddo wear-and-tear. I’m happy to report that I have NO fears of this unit being top heavy or coming apart. It is extremely sturdy. (hooray!) We are technically saving it for Christmas, but when I brought the kitchenette home to photograph, my kids went crazy for it. They played with it non-stop until bedtime, and then it magically disappeared into our basement until Christmas rolls around. I’m excited to pull it back out on Christmas morning and watch my 2 year old enjoy playing with that old rolling cart-turned-colorful kitchenette.